Connect to WiFi to avoid cellular chargers. Now I would like to go through several polyatomic anions and cations, their name and atomic structure. An ion is an atom or molecule in which the total number of electrons do not equal the total number of protons. Since the number of electrons and protons are not equal, the atom or molecule has either a positive or negative charge. An anion is an ion with more electrons than protons. It has gained at least one extra electron so it has a negative charge. Anions (negative ions) migrate toward the anode or positive electrode in a direct electric current. A cation is an ion with more protons than electrons. It has lost at least one electron from its neutral state so it has a positive charge. Cations (positive ions) migrate toward the cathode or negative electrode in a direct electric current. A polyatomic anion is a negatively charged ion composed of more than one atom. The atoms which make up a polyatomic anion share their electrons in covalent bonds. The atoms which are covalently bonded stay together when the ion forms an ionic bond to an ion with opposite charge. 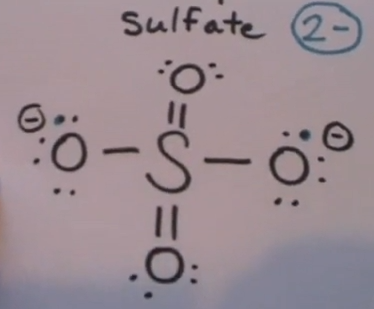 Hydroxide ion is a very strong base. A base is a proton (hydrogen ion) acceptor. An acid is a proton (hydrogen ion) donor. 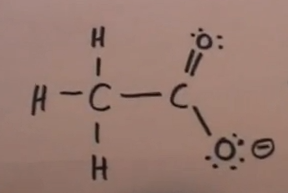 If the hydroxide ion can combine with a proton (hydrogen ion) from an acid it will react to form water. The oxygen and hydrogen share a covalent bond so they stay bonded together. Overall the hydroxide ion has a negative charge so there must be an associated cation to balance the charge. There are many examples of common cations which form ionic bonds with OH–. Frequently encountered examples include Na+, K+, NH4+, Ca++, Mg++, and Al+++, but there are many more. Whenever the hydroxyl ion bonds with these cations, the oxygen and hydrogen stay together and the overall charge is –1. The number of OH- anions which bind with the cation will depend on the charge of the cation. When writing the symbol, parentheses are used to define the anion and a subscript indicates the number of anions bonded to the cation. The overall charge of the nitrate anion is –1. Nitrogen is in group VA of the periodic table and has 5 valence electrons. Like oxygen, nitrogen is in period 2 and it cannot expand its octet. This explains why there is only a single bond between the nitrogen and 2 of the oxygen atoms. This results in the separation of charge with nitrogen having a positive charge and 2 of the oxygen atoms having a negative charge. The net result is a negative 1 charge for the nitrate anion. 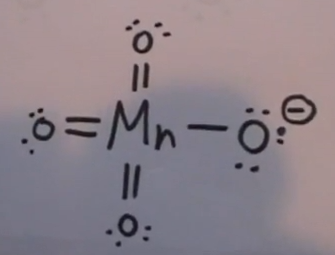 Compare this Lewis dot structure with the nitrite anion. The nitrogen and 3 oxygen atoms are covalently bonded. 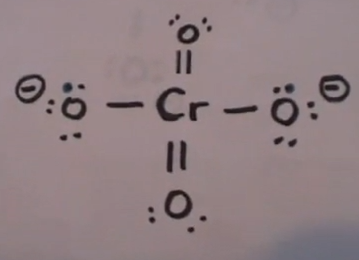 The 4 atoms stay together when they bond with the associated cation. 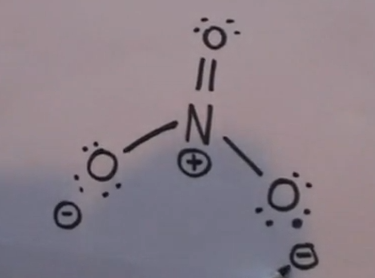 Nitrate could also form an ionic bond with the same cations as we used in the example for hydroxide. The charges must balance. The nitrogen and 3 oxygen atoms will stay together and overall the nitrate charge is –1..
Cations have a positive charge because the cation has lost an electron to the associated anion. 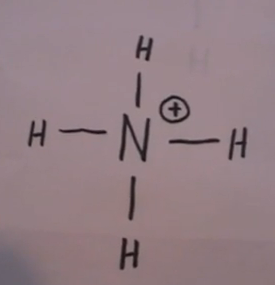 Note that the nitrogen atom is only sharing 4 electrons in covalent bonds with hydrogen. Nitrogen is in group VA of the periodic table and has 5 valence electrons in its natural state. 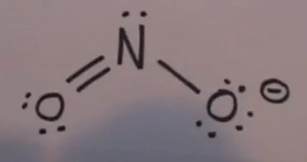 In the ammonium ion, nitrogen has lost one of its electrons and therefore has a positive charge of +1. 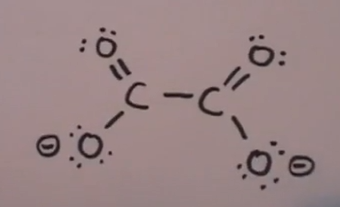 In this Lewis structure of the hydronium ion, oxygen is sharing 3 of its valence electrons in covalent bonds with hydrogen and there is a single pair of unshared electrons. 3 + 2 = 5. Oxygen is in periodic table group VIA and has 6 valence electrons in its natural state. Therefore in the hydronium ion, oxygen has lost one of its electrons(reduced from 6 to 5). 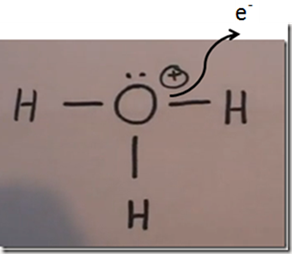 This gives the overall hydronium ion a +1 formal charge. However if you count all the electrons the oxygen atom “feels like it has”, shared and unshared, in oxygen’s valence shell, its octet is full. This is because one of the hydrogen atoms is sharing an electron which was a member of a lone pair in the natural state. The electron which was paired in the natural state was “lost” to the associated anion. 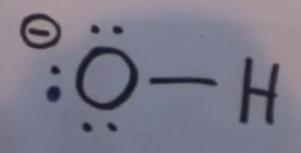 The point is the hydronium ion is a stable cation because the oxygen’s octet is full. Each hydrogen has its duet of electrons, but the ion has gained a proton and therefore has a net positive charge. Again, one of the oxygens have an extra electron giving the anion its negative charge. Oxygen has gained an extra electron and gives the anion its negative charge. Here the net negative charge is due to an extra electron on the oxygen on the right. A commonly used bicarbonate is sodium bicarbonate or baking soda in which case sodium is the associated cation. 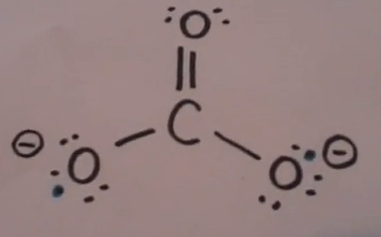 In this Lewis structure of the bicarbonate anion, the oxygen on the left has picked up an additional electron, giving it a full octet but with a negative charge. Bicarbonate ion is a buffer. The oxygen with the extra electron can accept a proton (hydrogen cation) and act as a base, or it can give up a proton from the oxygen atom on the right in which case it would be acting as an acid. Both carbon and nitrogen have a full octet, however, carbon has picked up an extra electron from the associated cation. Note the formal negative charge on this structure. This is due to an extra electron associated with oxygen which was picked up from the associated cation. Count the electrons. The oxygen with the negative charge has 7 electrons. 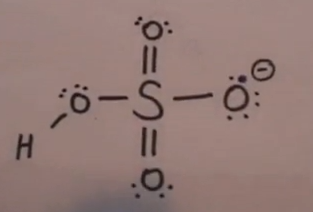 Oxygen is in group VIA so it only has 6 electrons in the elemental natural neutral state. This extra electron which is responsible for the negative charge was donated by the associated cation. Now lets go over some anions with a negative 2 charge. Look at the different distribution of valence electrons around the oxygen atoms in HPO42–. 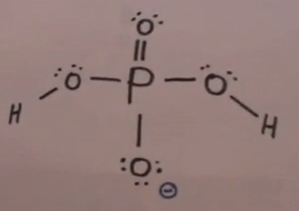 One of the oxygen atoms has a double bond to phosphorus and 2 lone pairs. 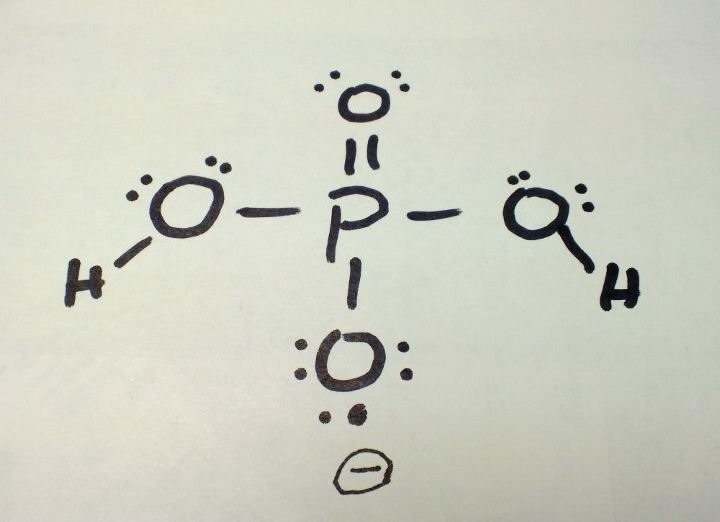 Another oxygen has a single bond to hydrogen and another single bond to phosphorus with 2 lone pairs. 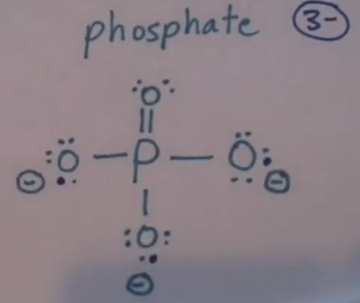 Two of the atoms have 3 lone pairs and a single bond to phosphorus. 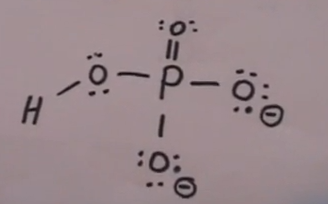 These two atoms each as a charge of 1- and are responsible for the overall charge of the phosphorus anion of 2-. Its okay, but all your images show a full octet, confusing.